In this article, we will ask the question of; “Does Influencer Marketing Work?” Influencer marketing has a pretty solid track record, but it needs to be used properly to get the best out of them. 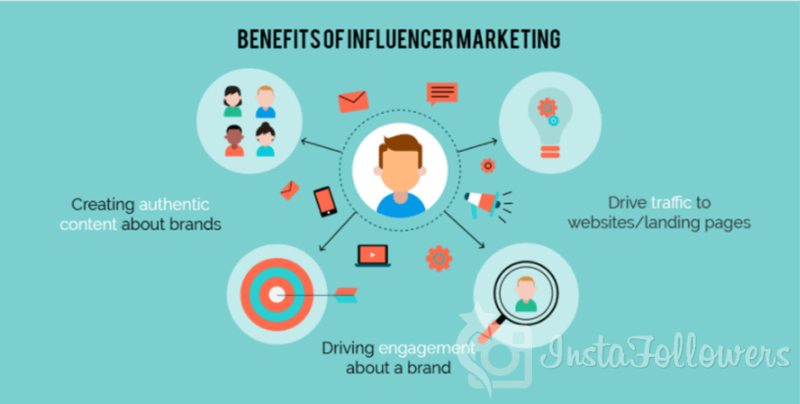 If you’re not familiar with influencer marketing, it’s marketing that focuses on using influencers to drive your company’s brand message to a larger audience. Instead of marketing directly to consumers, you use “influencers” to promote the product for you. Basically, you add a middle-man, usually very effective middle-men (or women!) though. This is especially effective when used on social media such as Instagram, Facebook, Tweeter, and other sites. It identifies key product or brand influencers, manually or with the help of a platform. Then it creates an advertising/marketing operation directed at the said influencers. After that, it creates a second marketing operation, in order to drive greater awareness. Finally, it tracks key metrics relating to sales, reach and brand awareness. Check this article of ours, I explained and talked about this before. If you didn’t understand yet, then don’t worry, I’ll give an example. The picture you see above is Influencer Marketing in its’ core. This type of advertisement was around for a long time, much before the internet we had “celebrity endorsed ads” which were celebrities using certain products, talking about them, mentioning them casually in interviews and such. This is how the game works. If you’re still wondering Does Influencer Marketing Work, the answer is yes it does. It always did. Look at the numbers. Does Influencer Marketing Work, because to me it seems like it does. It works because people love their influencers. Even the name influencer. Their thing is to influence people. They are not just actors, singers or streamers. They have a fanbase, their fans listen to them, look up to them, see them as an authority. The logic of this is simple, it’s always been simple. “I like this person and this person likes this product, it means I will like this product.” Essentially that’s it. At least it’s getting more and more transparent recently though. To give society some credit though, celebrities before modern times were much worse. They did not interact or care about their audience. Modern influencers don’t care much either, but they at least have to act as they do. That’s surely a step in the right direction, right? Influencer marketing is on the rise. Not only for businesses and companies but for average people also. They are starting to hear about this “Influencers” and they want to become one too. Being an influencer is the new cool. Nowadays there are Micro-Influencers, Guest Posts, Self Aware Brand Deals and much more. Considering Instagram is going this high and Youtube fixing their ad algorithm so that companies would come back; I don’t think Influencer Marketing is going anywhere soon. This is a very promising and interesting form of marketing, especially the transparent part of this concept is catching a lot of eyes. If it can evolve a bit better, this can change the whole media. Let’s face it, people, us millennials have the power to change a lot of things at the core. We only need to have integrity and be true to ourselves. In this article, we talked about Does Influencer Marketing Work. We decided yes, it does work. But this topic needs to get analyzed more thoroughly. 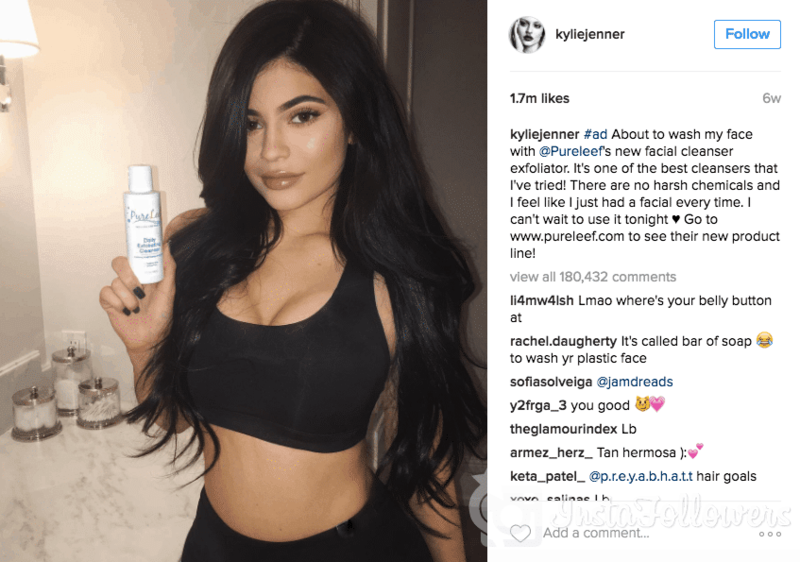 Can Influencer Marketing impact all age groups? 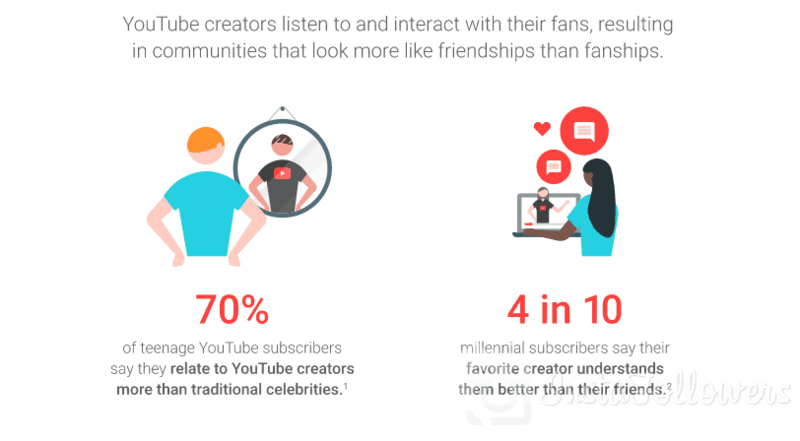 Will YouTube rise up to take a bigger slice of the pie? We will see. Thank you for reading, leave a comment, like etc. We recommend that you read our previous article titled Boost Engagement on Instagram.